Oct. 29 is just around the corner and if I know you Iron Fey fans, you're chomping at the bit to get your hands on Iron Traitor. Well, before you get too micro-focused let's harken back to another story in the series. You remember this one, right? Let me jog your memory. .... and takes place before this guy is born. The story provides some pretty heavy foreshadowing about the future and you just knew there had to be more. I mean, with Julie Kagawa at the helm did you really expect to end on a traditional "happy ever after?" I didn't think so. 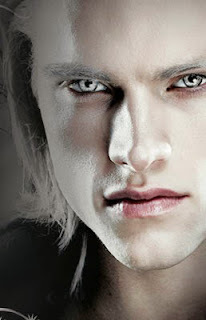 Everyone loves a little mayhem and the author of the Iron Fey certainly supplies it. 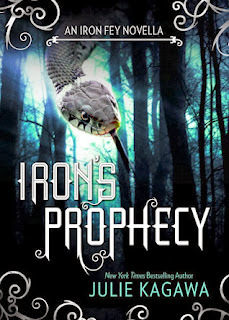 So if you haven't already pulled a reread of the entire series, definitely go back and reread Iron's Prophecy and ponder the possibilities. Will worlds be brought together or torn apart? Is Kierran to blame? How will it all play out? I won't dare to hazard a guess. 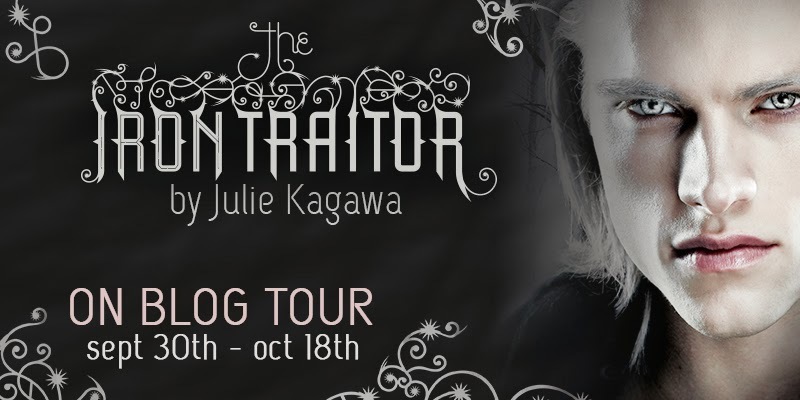 Julie Kagawa was born in Sacramento, California. But nothing exciting really happened to her there. 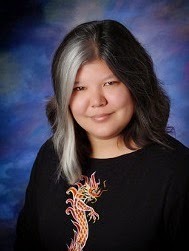 So, at the age of nine she and her family moved to Hawaii, which she soon discovered was inhabited by large carnivorous insects, colonies of house geckos and frequent hurricanes. She spent much of her time in the ocean, when she wasn’t getting chased out of it by reef sharks, jellyfish and the odd eel. If what the little birdie told you is true - I'm going to freak. Thank you so much! I think there is something wrong with the rafflecopter. They won't let me unlock the 6 entries. It seems to be working for me. Perhaps try clearing your cache or restarting your browser and trying again. Hopefully that helps. It wouldn't work for me earlier today either. Now it works yay! I can't wait to read Iron Traitor! I LOVE this series! I cant wait to read this!!! I've read all of the Iron Fey books and they are all amazing. All of the characters are so...tangible, they're amazing. Julie Kagawa is one of my favourite authors! I will buy anything she writes. I love this series. 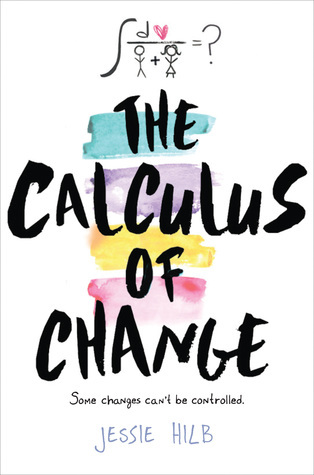 Each books get better and better. Can't wait to read the Iron Traitor. Hello, Julie!! You know how I’m a big fan of your series since the beginning. Just want to say I’m still Team Ash all the way! 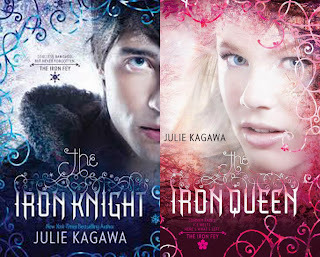 I absolutely adore Julie Kagawa! She's one of my all time favorite authors. Her books are freaking fantastic! 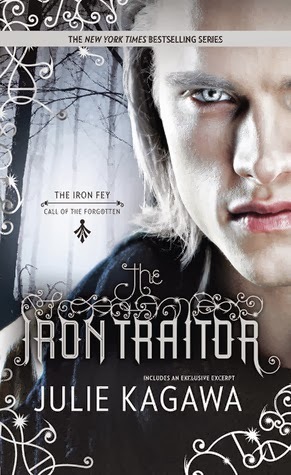 I can't wait for the Iron Traitor and the 3rd book in The Immortal Rules series. That cliffhanger in the Eternity Cure! I need the next one!